Will Lianos became a member of the CIGNET team in 2009 as its Chief Financial Officer. Mr. Lianos has been in the plastics industry for over 13 years and was formerly the Chief Executive Officer of St. Clair Plastics Company. In those 13 years, Will held many positions in management including Controller, Director of Purchasing, Vice President of Operations and Chief Financial Officer. 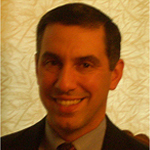 Mr. Lianos is a CPA and began his career in Public Accounting in 1991. During his tenure at Plante & Moran he was part of the audit and tax teams that focused on manufacturing clients. Before leaving the firm in 1996, he was an Audit Manager that was responsible for a number of clients in the automotive industry. Will is a graduate of the University of Michigan with a bachelor degree in Accounting. He also has an MBA from Wayne State University and is a member of the Michigan Association of CPA’s and the AICPA.